I know it’s been a long time since there’s been any real Chadhiyana updates, issues, or news (save for some teasing on Social Media). I am sincerely for the delays, and honestly all the responsibility of that rests with me, not Rosarium Publishing. 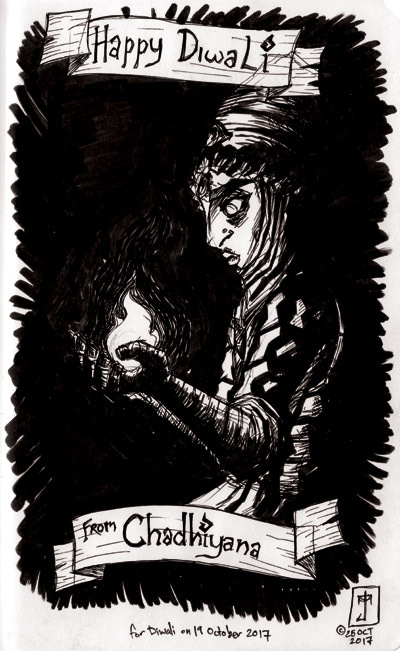 Many of you have contacted me and approached me at conventions about The Girl with the Fire Ringed Eyes, and I can assure you I have not left the series at all. 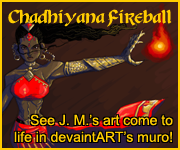 In fact, I’ve been working hard on Chadhiyana behind the scenes, after taking a necessary break. I’m planning to finally release some information about what’s been going on next month (March 2018) on this site, my website (jmdesantis.com) and my Patreon (patreon.com/jmdesantis), so please stay tuned. 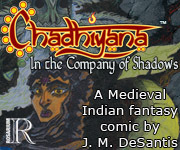 And as always, thank you for your interest and support of Chadhiyana.